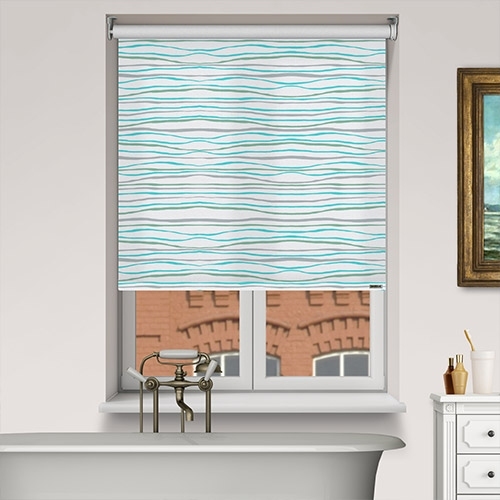 Controliss Linio Stripe Tide 240V AC mains RTS remote control electric roller blind: This fabric is a contemporary pattern based on waves of aqua and ultramarine with neutral grey. 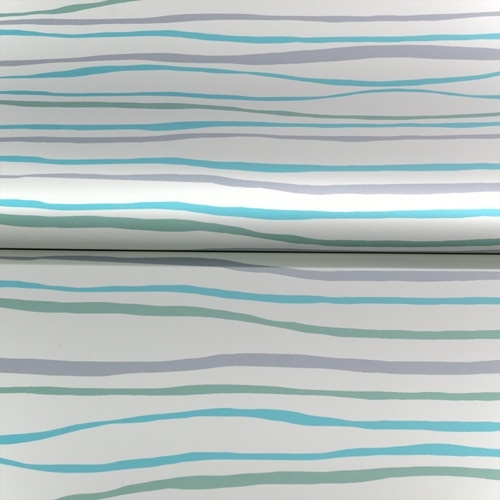 For a nautical theme or for a crisp and fresh palette, this pattern is cool and timeless. 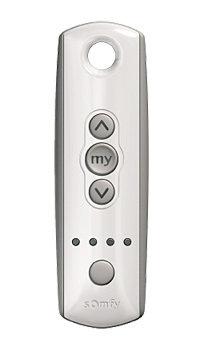 The retro design and muted green/blue colours will blend effortlessly with any scheme.